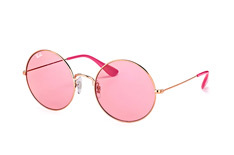 Whether outdoors at an ice cream parlour, on the beach or strolling through town, you don’t want to be caught in the sun without the right pair of shades. 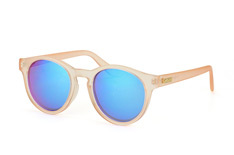 Sunglasses are both a cool fashion accessory and a provider of protection for your eyes. It can seem like a challenge to find a pair that don’t just go with your summer outfit, but also your overall look, including skin tone and hair style. Now we’ll explain the key points, so that choosing the perfect pair of sunglasses will be child’s play. When it comes to skin tone, there are two main types: warm and cool. These have nothing to do whether the skin is light or dark, but rather so-called undertones that shine through skin, hair and eyes. Those with a warm skin tone look best dressed in warm colours, while the opposite also holds true. An olive skin tone can’t be easily put into either category, as it has both yellow and blue undertones. Generally, however, it’s classified among the cool types. Tip: It’s quite easy to determine the type of skin you have. If gold makes your face shimmer and appear vibrant, you belong to the warm skin type. If silver gives you more radiance, you belong to the cool skin type. 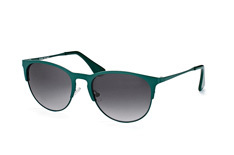 Regarding hair colour when buying sunglasses, it’s best to choose a frame from the same colour family. However, don’t forget to consider your skin tone. 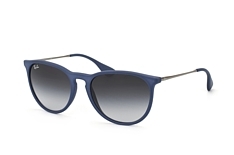 For a more striking look, choose a frame in a complementary colour that creates an exciting contrast to your hair. Blond hair goes particularly well with light colours, for example sunglasses in pastel tones. Light, transparent frames are also a good match. Ideal for cool skin tones are dark grey or blue, while dark green or intense red are a good match for warm skin tones. Those with brown hair are in luck, as many colours are a good match. Light blue and pink are good for cool skin tones, while those with a warm skin tone might want to go for pink, dark blue or black. 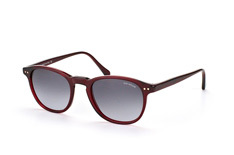 If you have black hair, then we’d advise you to go for dark sunglasses and strong colours. If your skin tone is somewhat lighter, choose a grey or smoky blue frame. Pastel colours aren’t a great match for black hair, their gentle effect tends to be overwhelmed by the hair colour. Many colours are compatible with red hair. A particularly good match are sunglasses in autumnal shades such as copper and orange, while pastel colours also look great. 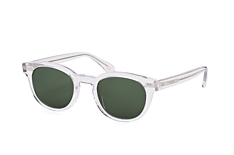 Green or blue frames are also an option for those who want a stronger contrast. Tip: A good option for people with grey hair would be subtle colours like silver or pastel shades. You like having short hair or a ponytail? Or showing off your long curly locks? Whatever your preferred style, you’ll find a suitable pair of sunglasses. The important thing is that hair and shades aren’t engaged in a battle for attention, but rather function as a team. However, as in all areas, personal taste should be the deciding factor. 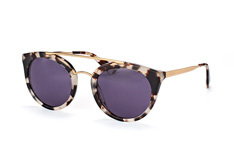 If you have short hair, or like to wear your hair up or braided, then your sunglasses will take centre stage. As long as you avoid excessively large or striking frames you can’t really go wrong. 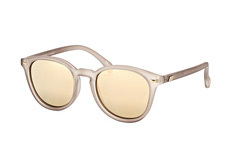 Frames that are transparent, narrow or made out of metal all provide a subtle, good match. As large and striking frames can appear too in-your-face with straight hair, a more subtle, discreet frame would be a smart choice. 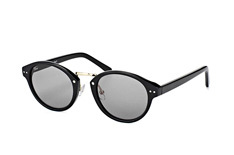 Sunglasses that are striking and/or have a large frame go well with curly hair, while more restrained frames may go unnoticed. 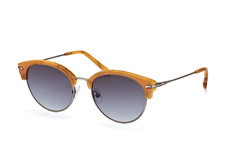 So don’t be shy about grabbing an expressive pair of sunglasses that complement your hairstyle. Ponytails are a real eye-catcher, so unobtrusive sunglasses, for example with light frames, are often a good match. But if you want to make a bolder statement, larger frames in light shades can also go down a treat. 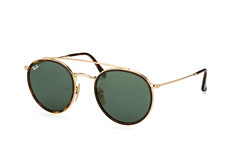 Tip: You’re looking for a frame that suits the shape of your face? Then have a look at our guide to face shapes and discover which kind of glasses will look most flattering on you. Whether cool or warm skin tone, long, short, red or blond hair: these characteristics play a big part in determining which sunglasses look best on you. 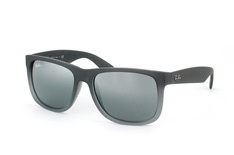 Bear the above tips in mind and you should have no trouble finding a pair of shades that look tailor-made for you. But of course you have to trust your own gut feeling too. With a combination of these two things, you can’t go wrong.